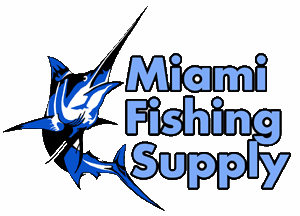 Jinkai Leader Coils Miami Fishing Supply, complete selection of offshore fishing tackle, marine electronics and boat supplies. Born out of a love for fishing, a driving commitment to quality, and a genius for technical innovation, JINKAI is a wholly unique and superior fishing line, representing a breakthrough in monofilament technology. As all great fishermen know, a trophy fish will test the line to its maximum potential, and JINKAI is up to that test every time. The dynamic patented process by which JINKAI is produced and precise blending of just the right nylons are the secrets that have unleashed a line with extraordinary capabilities. As the line is extruded, nylon molecules are polarized to maintain a soft center with a tight outer surface. This allows JINKAI to remain sensitive and responsive, yet provides incomparable toughness and strength in micro-fine diameters.The result is an unbeatable combination of the most ideal qualities. 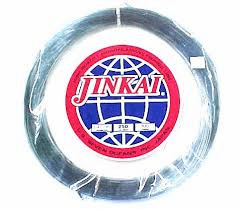 Jinkai Smoke Blue Monofilament Leader, 100 yard coils.